Cups of Tea and Connection – A Challenge! Today I have a small challenge for you. It will only take five minutes, although you’re welcome to spend longer. Take 5 minutes out of your busy day. Fetch yourself a delicious beverage – a cup of tea, a good coffee, a cold juice, sparkly water, a glass of wine – whatever works for you. If you’re connecting in person invite your friend along to enjoy a beverage with you. Or use your five minutes to call them and organise a face-to-face meet up sometime soon. If you’re connecting by phone (or skype!) sit somewhere with your beverage of choice, make that call and enjoy a quick catch-up. Aim to put a smile on someone’s face. Reach out for the joy of hearing another’s voice and sharing your news. If you’re connecting by letter, enjoy the simple act of putting pen to paper. 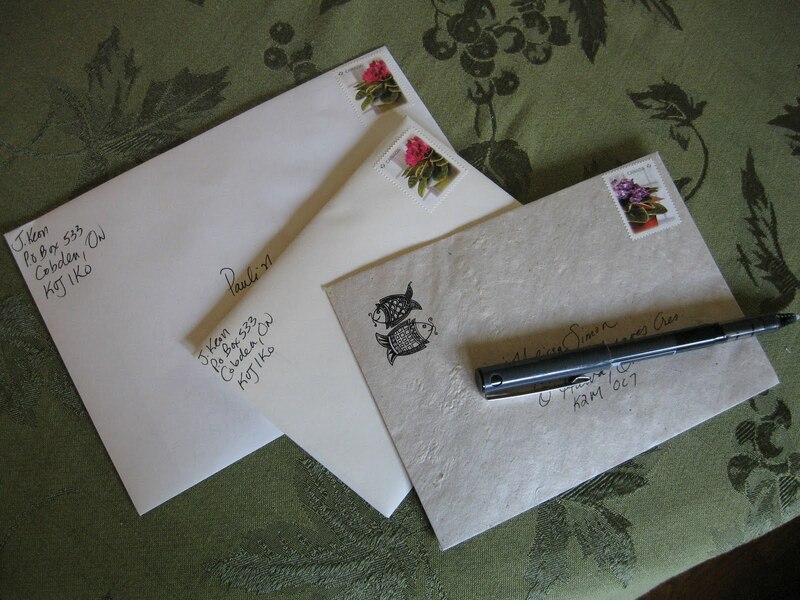 Letters can be funny, warm, wise, newsy, deep or full of scribbled pictures and snippets of poetry. Who doesn’t love getting a letter in their mail box? Maybe you’ll be lucky and get one in return. Older people and children especially seem to appreciate letters. Lovers do too. Who can you surprise and delight with one of your letters? Taking five minutes to connect with the ‘human touch’ is one of the simplest and most powerful acts you can take to maintain relationships. It also alleviates social isolation, one of the leading causes of depression. This entry was posted in Coping Skills, Family, Love, Relationships and tagged being a friend, blogging, caring for others, caring for self, community, connecting with people, depression, family, friendship, heart space, inspiration, love, mental-health, people, reaching out, relationship maintenance, social connection, social isolation by Cauldrons and Cupcakes. Bookmark the permalink. I like this challenge! I used to write letters, and phone people, quite regularly, but with email and texting (and Facebook of course) there hardly ever seems to be the need now. I agree. I still have letters that were sent to me years and years ago. Nicole, I think the demise of letter writing is one of the saddest outcomes of modern society. Receiving a letter (a personal, hand written letter) used to bring me such joy and while I still sometimes write to friends I cannot remember the last time I received a letter in reply. While I was away recently I came across this little saying ‘Email is the one night stand of communication’ and it really spoke to me. So my goal for 2013 is to write to my friends more often even if they live just down the road. This seemingly small challenge had big impact on my wellbeing and the course of my whole day. Thanks Nicole. you are gem. I LOVE phone calls from friends. Living on the other side of the world from so many old, beautiful and dear friends I started a “cuppa chat” call years ago. As the time difference is always an issue I decided to turn it around to my advantage. 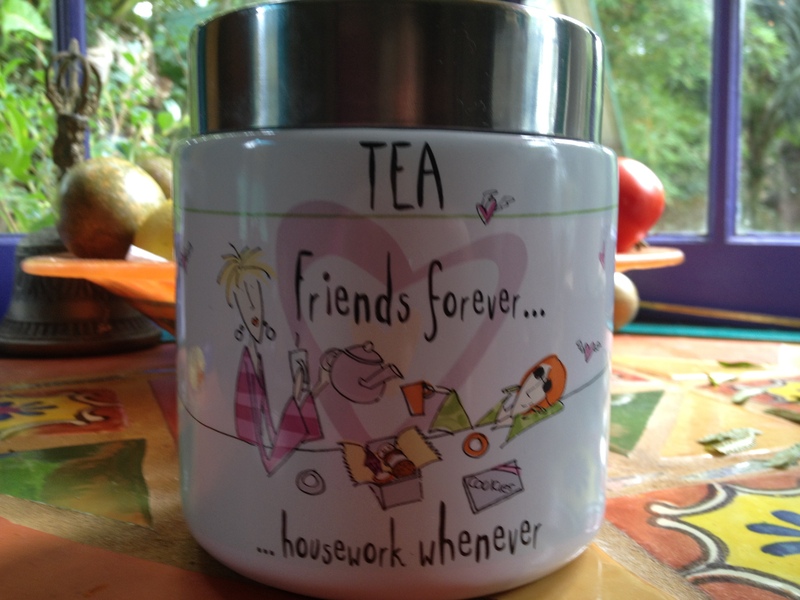 So, as my lovelies were getting ready for their day in Australia and having their first cup of tea for a day I would be having my last one for the day and we would have a simultaneous cuppa whilst catching up. It is SUCH a lovely notion and makes the distance almost negligible. For me it is like being wrapped in an old familiar security blanket when I catch up with one of these women and restores such a lovely equilibrium in my week. Thank you for todays post Nicole. Beautiful written as always. P.s. yes, I still enjoy wrting letters to my friends too and think it is a tragedy that it is now seen as old fashioned. You are so inspiring Nicole. I must confess, I had the same brain wave as yourself. I have recently moved 600 miles from where I previously lived, hence I have very few friends in this new place. In order to cultivate new friendships, I decided that I’d start inviting new friends to my home to share a beverage with me. Today I invited a neighbour to dinner and we had a lovely time. I did not think about writing letters, that sounds beautiful. I think something shorter such as a postcard is more realistic for me. So I may try that out instead.